Costume, portraiture and the presentation of the individual have been intimately linked throughout the history of art. While the face of the person portrayed is often still directly accessible to us, the details and significance of their dress can be less easy to comprehend. Lavishly illustrated throughout with paintings, drawings, photographs and other works of art, this beautiful publication is centred around 190 examples from the National Portrait Gallery’s Collection. Through these, the authors explore the purpose and original context of the dress in which the sitter was recorded – the damasks, satins, velvets and furs of Tudor and Stuart magnificence worn by Queen Elizabeth I and Charles I, but also the revolutionary simplicity of the cottons, linens and woollen cloth adopted by Mary Wollstonecraft, John Constable and John Clare. 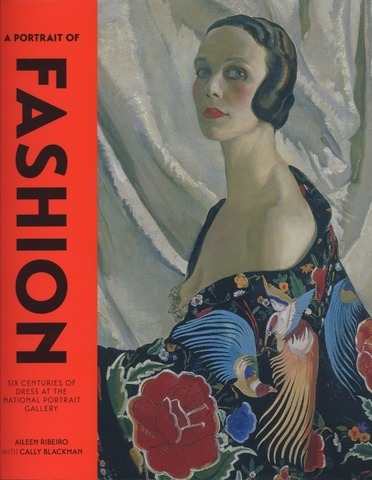 Packed with photographs that provide additional insights into the clothes worn by sitters in their portraits, and complemented by related material including fabric designs and jewellery, this authoritative guide looks in detail at one of the most fascinating aspects of many well-known images of the last 600 years.